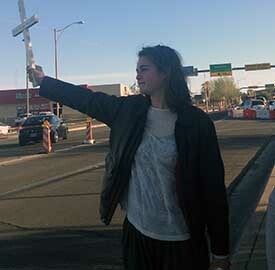 Students from Notre Dame of Maryland University (NDMU) spent Holy Week in 2016 with School Sisters of Notre Dame in Arizona who minister on the U.S.-Mexico border. 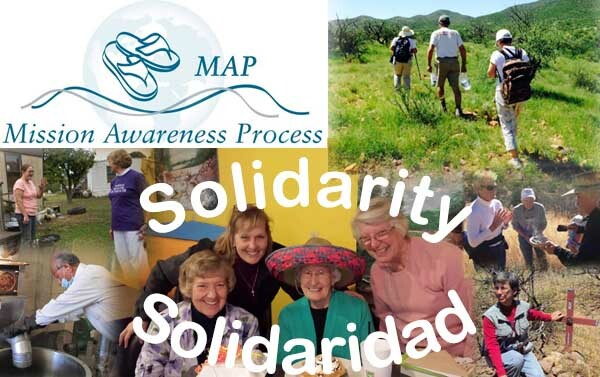 The Mission Awareness Process (MAP) program offers participants the opportunity to learn more about migrant concerns while exploring life in a diverse border community. Here, we share some of their reflections, insights and images from the week. 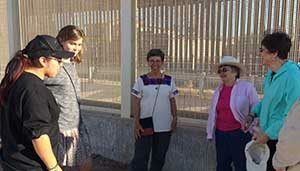 Sister Judy Bourg (center) talks to participants in the SSND Mission Awareness Process program about the border fence between the United States and Mexico. From left, Diana Ramirez, Lillian Doyle, Sister Judy Bourg, Sister Helen Jones, and Sister Linda Stilling. 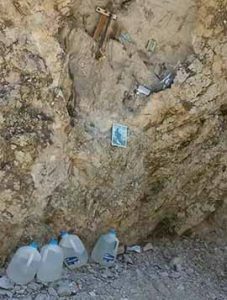 Leaving water for those making the crossing. 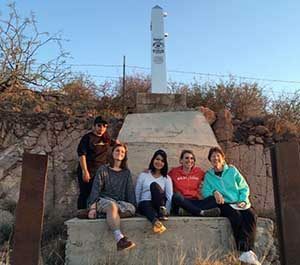 At an obelisk marking the border. 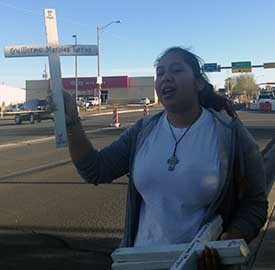 Pictured from left are Diana Ramirez, Lillian Doyle, Larraine Ruiz, Rae Borsetti, and Sister Linda Stilling, SSND. 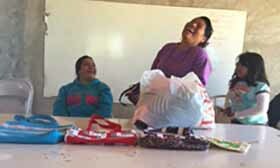 Women share their quilting work at the co-op. 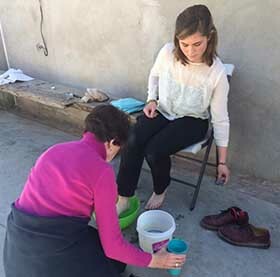 Participating in a foot-washing ceremony.